Silly Nanase! It's physically impossible to contact Mr. Verres at the start of any crisis! You should know that by now. Of course, Charlotte assuming that Diane would have any idea what the significance of Nanase's hair being black at the roots (meaning the hair wasn't dyed black) is perfectly reasonable and not silly because it's fun (if dangerous) to grab Nanase's head. 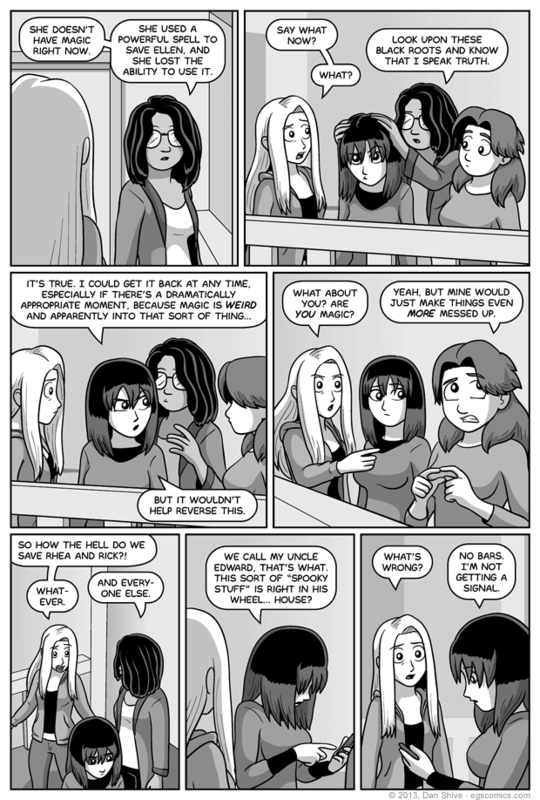 I mentioned this on Twitter, but I'm thrilled that a joke in a comic from years ago has made it unnecessary to explain Nanase and Ellen having magic to Diane. I mean, yes, there have been spooky happenings, but the whole "ZOMG you two are MAGIC" moment could have been one heck of a speed bump.